If you want to keep your pet looking and feeling their best, a great pet groomer can do the trick. 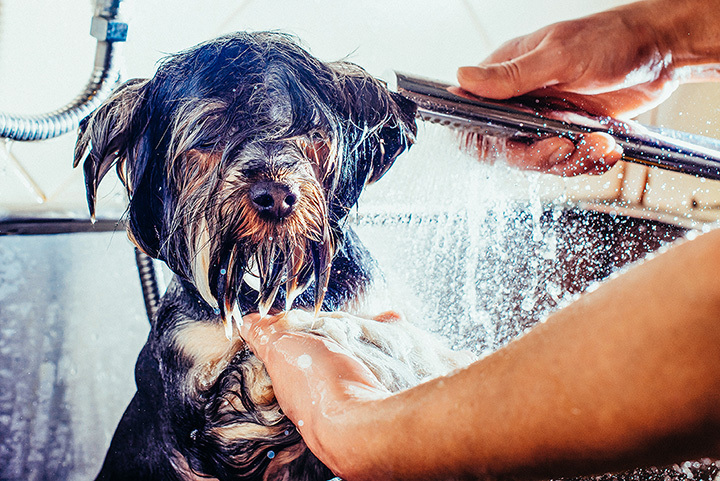 More than just dog washing and trim ups, pet groomers can help with de-shedding, medicated baths, toenail trims, and even breed specific cuts. Every pet deserves its day—give them the royal treatment at one of these 10 best pet groomers in Florida. If your pets could talk, they’d beg you to bring them here. This full-service pet spa offers the complete suite of pampering, including nail trims, brushing, ear cleaning, spa baths, and more. The staff here works their magic to relax even the most jittery pets so that every tail is wagging when their spa day is over. From breed cuts to teeth brushing and nail trims, the staff here spares no luxury. Dogs of all sizes are welcome here, and they’ll love the lavish attention and care from their groomers. They take cleanliness and safely seriously, and their pet parents rave about comfortable environment they’ve created for their furry customers. Dogs of all breeds are welcome here. They have some of the best prices in the Miami metro, and their customers rave about their expertise with breed cuts. Your pet will feel right at home with their friendly groomers and inviting atmosphere. Their low-stress experience is perfect for keeping your pet calm and happy. They offer individualized care for every pet, especially rescues or those with severe anxiety. Just a like a salon for people, they also offer over two dozen shampoos to give your pet the best possible results. This whimsical doggy fleet brings the best pet grooming straight to you. This means you don’t have to take your jittery pets to the groomers, making for a stress-less experience for both of you. But don’t think that mobility limits their ability to serve—each rover mobile offers a full spectrum of grooming services just as though you went to a storefront. This award-winning pet salon provides every type of service you need to keep your pet feeling fresh. Each service is a al carte so you can customize your pet’s visit every time. They also offer a monthly service where you can get unlimited washes for one low price. Charlie’s Place eliminates the frustrations of using a chain store for grooming by ensuring you get the same groomer and same style every time. As a husband and wife business, the team here takes time to get to know you and your pet to create the best experience possible. They also specialize in creative grooming to add color, style, or design to your pet’s coat. The groomers at this posh doggy salon treats every pet as if it were their own. Along with standard grooming services, your pet can also enjoy deep conditioning treatment, hydro massage, and de-matting. Fans also love this place because they reward referrals. Full service dog grooming comes straight to you in one of the widest service ranges in Broward County. Or, you can take your four-legged friend to their lux dog spa in Plantation to receive the finest treatments available. First time customers can get a $5 discount!